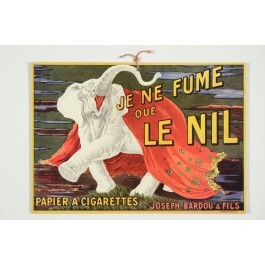 A whimsical cardboard featuring the iconic elephant by Leonetto Cappiello (1875-1942) telling us that “the discerning smoker only uses Le Nil (cigarette paper)”. The poster was commissioned in 1912 by the Joseph Bardou (a.k.a. 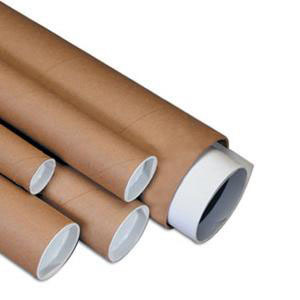 JOB) paper company, specializing among other things in the manufacturing of cigarette paper. 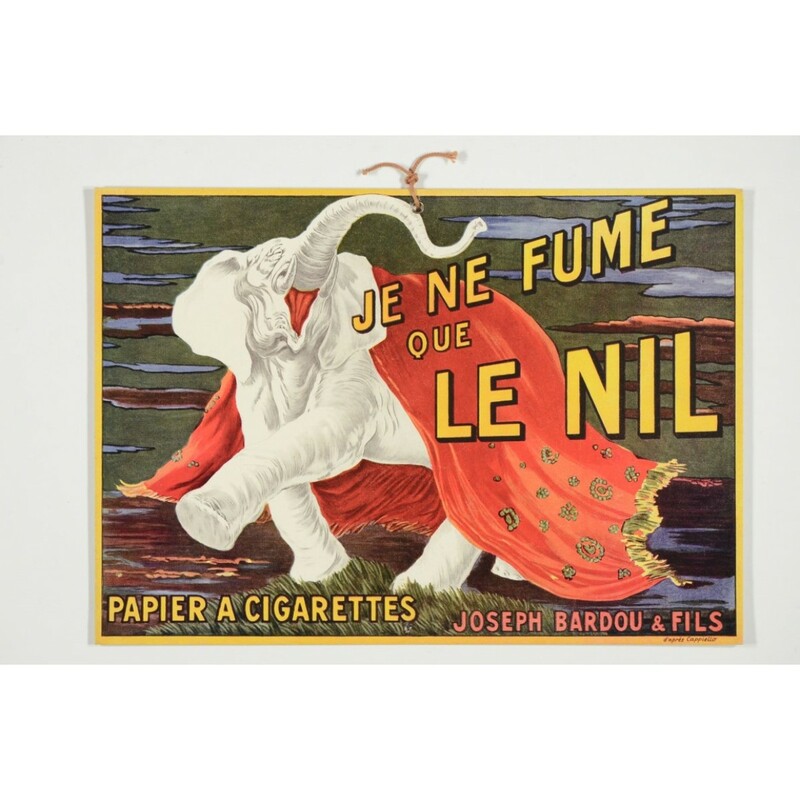 Starting in 1870 part of the JOB production was shipped to Egypt, at the time a major producer of tobacco, hence the “Le Nil” denomination. 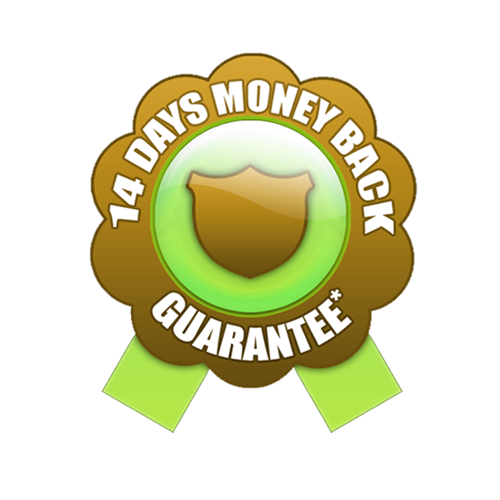 This cardboard, used as a sales prop comes with a couple of rubber bands holding in place two samples of the product.